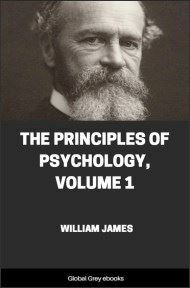 This is Volume II of William James' monumental text on Psychology. 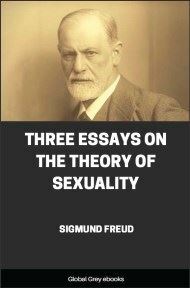 Chapters include: Sensation; Imagination; The Perception Of 'Things'; The Perception Of Space; The Perception Of Reality; "Reasoning"; The Production Of Movement; Instinct; The Emotions; Will; Hypnotism; Necessary Truths And The Effects Of Experience. After inner perception, outer perception! The next three chapters will treat of the processes by which we cognize all times the present world of space and the material things which it contains. And first, of the process called Sensation. The words Sensation and Perception do not carry very definitely discriminated meanings in popular speech, and in psychology also their meanings run into each other. 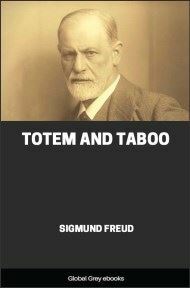 Both of them name processes in which we cognize an objective world; both (under normal conditions) need the stimulation of incoming nerves ere they can occur; Perception always involves Sensation as a portion of itself; and Sensation in turn never takes place in adult life without Perception also being there. They are therefore names for different cognitive functions, not for different sorts of mental fact. The nearer the object cognized comes to being a simple quality like 'hot,' 'cold,' 'red,' 'noise,' 'pain,' aprehended irrelatively to other things, the more the state mind approaches pure sensation. The fuller of relations an object is, on the contrary; the more it is something eased, located, measured, compared, assigned to a function, etc., etc. ; the more unreservedly do we call the state mind a perception, and the relatively smaller is the part it which sensation plays. Sensation, then, so long as we take the analytic point of [p. 2] view, differs from Perception only in the extreme simplicity of its object or content. [ ] Its function is that of mere acquaintance with a fact. Perception's function, on the other hand, is knowledge about [ ] a fact; and this knowledge admits of numberless degrees of complication. But in both sensation and perception we perceive the fact as an immediately present outboard reality, and this makes them differ from 'thought' and 'conception,' whose objects do not appear present in this immediate physical way. From the physio-[p. 3] logical point of view both sensations and perception differ from 'thoughts' (in the narrower sense of the word) in the fact that nerve-currents coming in from the periphery are involved in their production. In perception these nerve-currents arouse voluminous associative or reproductive processes in the cortex; but when sensation occurs alone, or with a minimum of perception, the accompanying reproductive processes are at a minimum too. 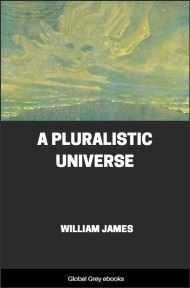 But the trouble is that most, if not all, of those who admit it, admit it as a fractional part of the thought, in the old-fashioned atomistic sense which we have so often criticised.